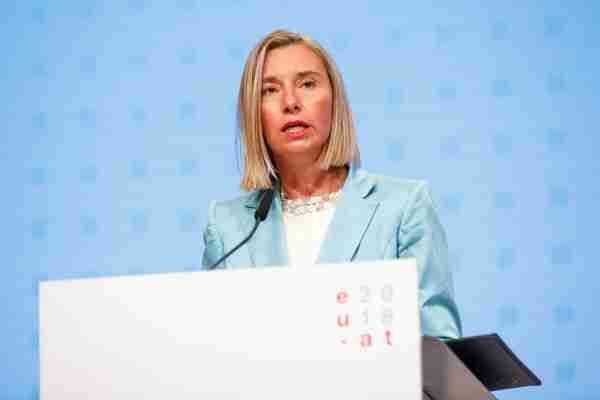 EU foreign policy chief Federica Mogherini said on Thursday (30 August) “there is no consensus on practical solutions” to migration at the moment and urged member states to show more responsibility towards migrants in the Mediterranean. Ahead of an informal meeting of European defence ministers in Vienna, Mogherini urged member states to “take more responsibility” and ensure the bloc’s migrant rescue operation continues to fight human trafficking in the Mediterranean, calling on them to show a “constructive attitude” to help continue the mission. “We can definitely not afford to leave an EU operation without clarity on the rules it has to follow,” she said. Italy, meanwhile, intends to propose an extension of the EU mission “Sophia” to combat trafficking in the Mediterranean. 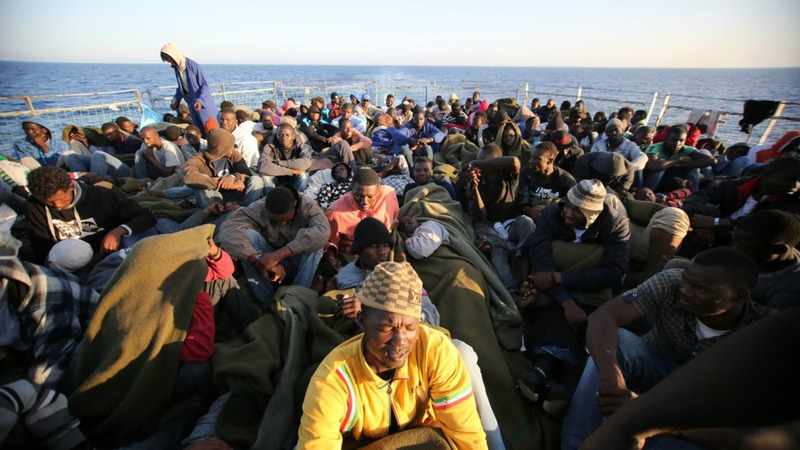 “Italy recognises the essential contribution of the ‘Sophia’ mission in the fight against human trafficking and is ready to support an expansion of its tasks in the western Mediterranean,” Italian Foreign Minister Enzo Moavero Milanesi said in a press release. Rome plans to ask the European Union to modify the rules of the Sophia mission – currently commanded by Italy – and rotate the ports where migrants rescued at sea can disembark, with France and Spain expected to top the list, and with Greece and Malta also sharing responsibilities. Currently, all the ships dock in Italy but Rome’s new right-wing populist government has repeatedly said it should not have to carry the burden alone and it was time other EU states do their fair share by taking in more of the migrants. Sophia was launched in June 2015 following a series of deadly shipwrecks and has since picked up thousands of migrants floundering in the Mediterranean. German Defence Minister Ursula von der Leyen said Sophia’s mandate ran until the end of the year. By that time, she expects EU leaders to solve the question of how asylum seekers coming to Europe, whose claims are recognised, should be distributed among member states and how those rejected should be returned home. EU border guards are interviewing migrants arriving to the continent to gather “valuable” information to fight against the smugglers and human traffickers. “That is the question that is anyhow right on top of the agenda of EU leaders… and so I expect this question to be solved in the autumn,” she said. Her Austrian counterpart, Mario Kunasek, added that Austria wants to act as a neutral intermediary in the case. However, during the closed-door meeting, he put forward Austria’s plan to temporarily use army troops, together with the police, for guarding borders. He emphasised, however, that they would be under police control. “We have got to protect our borders effectively,” Kunasek told reporters after the meeting, saying there was a “positive discussion” on the proposal as it was “welcomed by several countries”. Germany has been initially opposed to the plan so it is not clear if it will move forward.